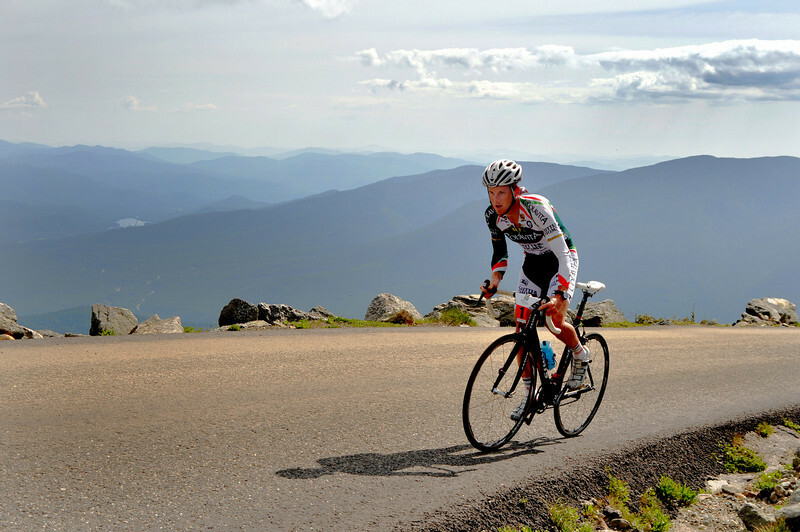 Anthony Colby, 30, of Durango, Colorado, stretches out his lead, well above timberline, during the "Newton's Revenge" bicycle race up New Hampshire's Mt. Washington, held on July 11th, 2009. Mr. Colby went on to win with a time of 53:50, on the grueling 7.6 mile course, which he also won in 2008.